2 editions of Saving My Assassin found in the catalog. Add another edition? Are you sure you want to remove Saving My Assassin from your list? Published June 7, 2016 by Tyndale House Publishers in Carol Stream, IL . "I should be dead. Buried in an unmarked grave in Romania. Obviously, I am not. Apparently, God had other plans." At just under five feet tall, Virginia Prodan was no match for the towering 6'10" gun-wielding assassin the Romanian government sent to her office to take her life. It was not the first time her life had been threatened -- nor would it be the last. As a young attorney under Nicolae Ceauscescu's vicious communist regime, Virginia had spent her entire life searching for the truth. When she finally found it in the pages of the most forbidden book in all of Romania, Virginia accepted then divine call to defend fellow followers of Christ against unjust persecution in an otherwise ungodly land. For this act of treason, she was kidnapped, beaten, tortured, placed under house arrest, and came within seconds of being executed under the orders of Ceausescu himself. How Virginia managed not only to elude her enemies time and again, but helped expose the appalling secret that would ultimately lead to the demise of Ceauscescu's evil empire is one of the most extraordinary stories ever told. A must-read for all generations, Saving My Assassin is the unforgettable account of one woman's search for truth, her defiance in the face of sheer evil, and a surprise encounter that proves without a shadow of a doubt that nothing is impossible with God. - Publisher. At just under five feet tall, Virginia Prodan was no match for the towering 6' 10" gun-wielding assassin the Romanian government sent to her office to take her life. It was not the first time her life had been threatened―nor would it be the last. 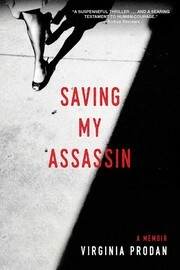 A must-read for all generations, Saving My Assassin is the unforgettable account of one woman’s search for truth, her defiance in the face of evil, and a surprise encounter that proves without a shadow of a doubt that nothing is impossible with God. August 1, 2017 Edited by Bryan Tyson Edited without comment. February 28, 2017 Edited by Todays Martyrs Reviewer Edited without comment. December 7, 2016 Edited by Todays Martyrs Reviewer Edited without comment. October 23, 2016 Created by Todays Martyrs Reviewer Added new book.